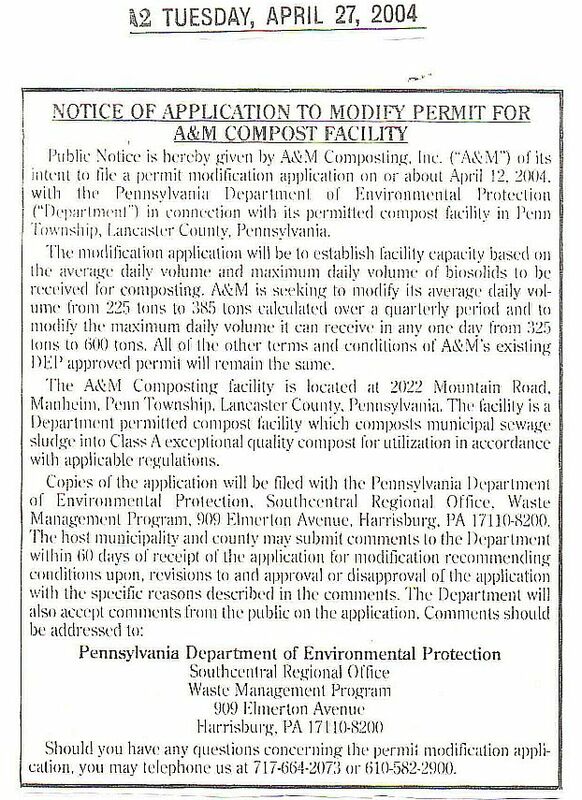 NOTE: to be read carefully! 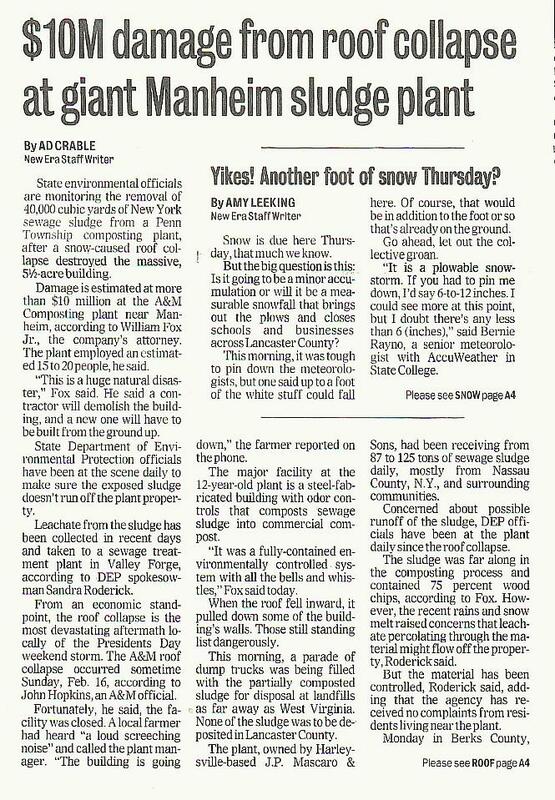 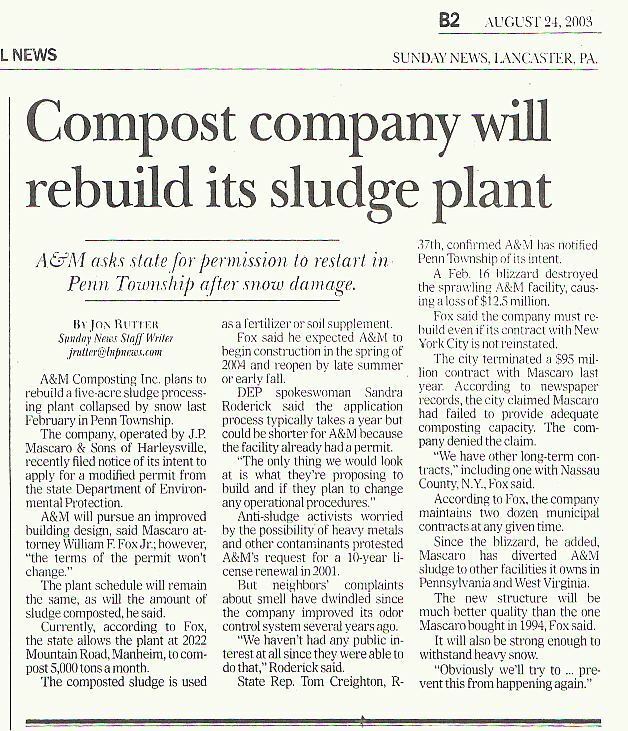 A & M asks state for permission to restart in Penn Township after snow damage. 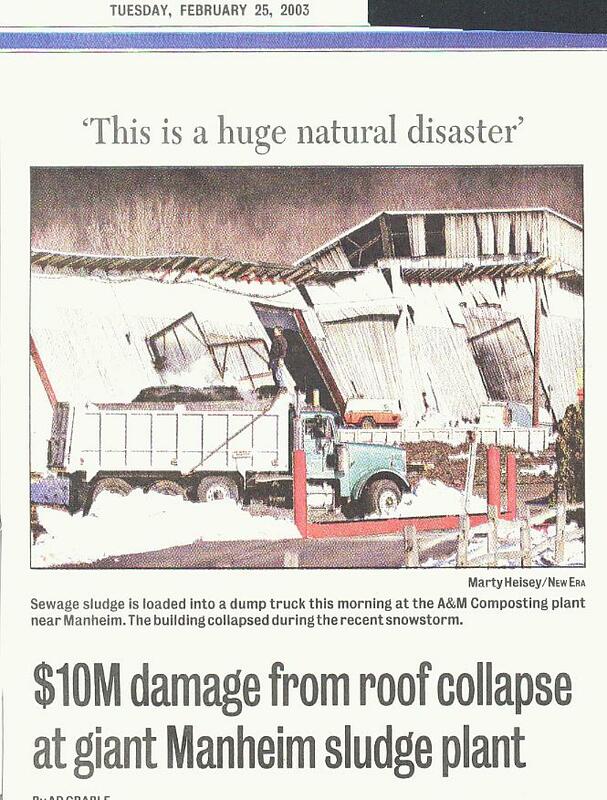 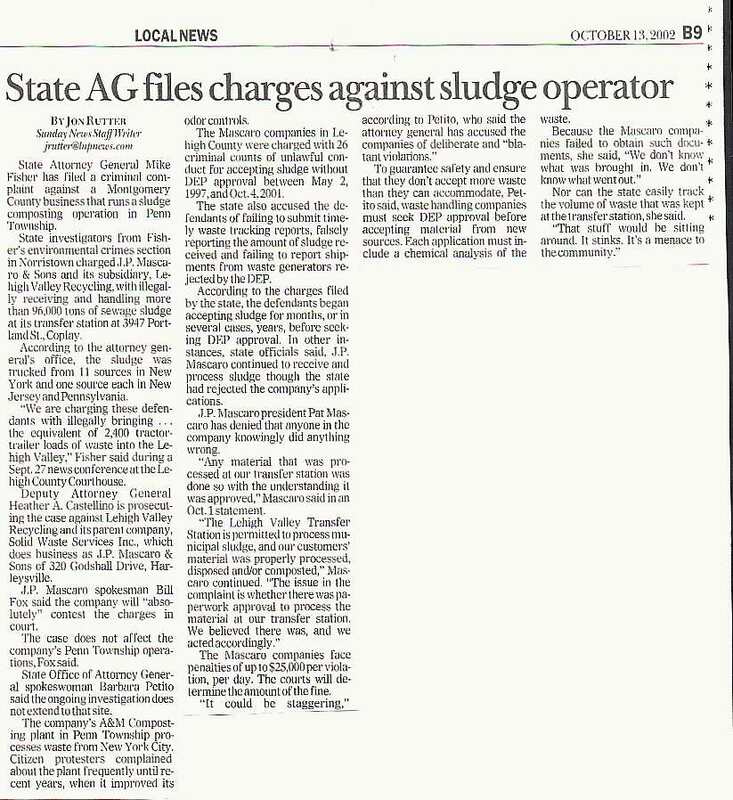 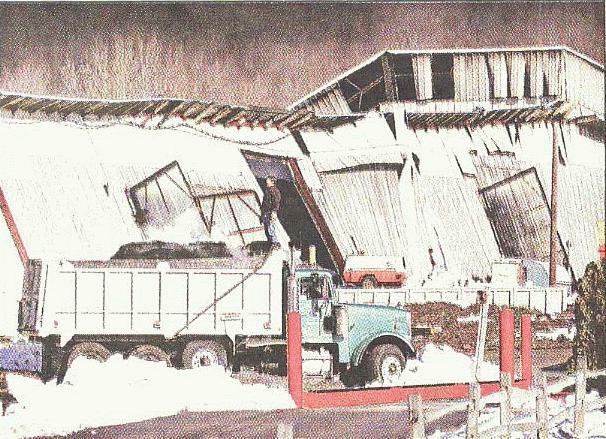 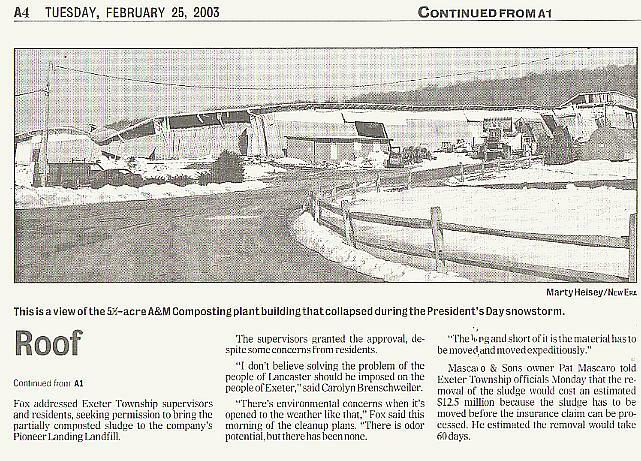 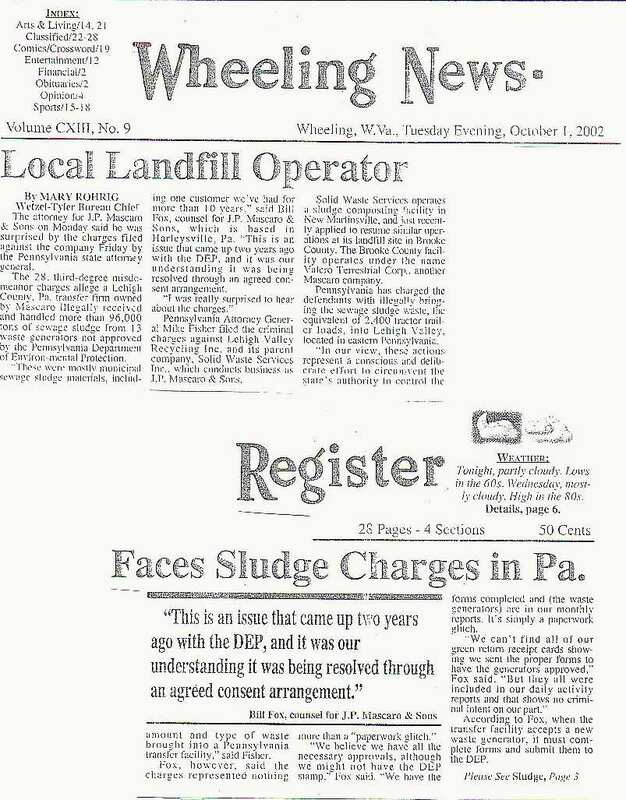 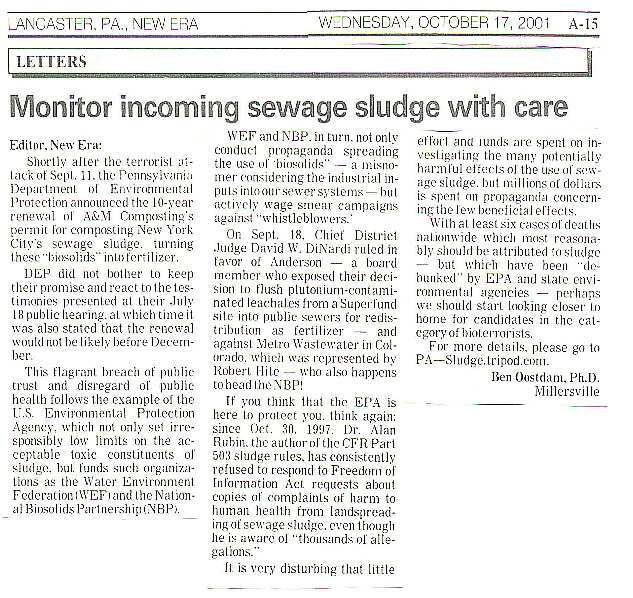 "$10M damage from roof collapse at giant Manheim sludge plant"
Local Landfill Operator Faces Sludge Charges in Pa.
Compost plant may continue to take sludge. 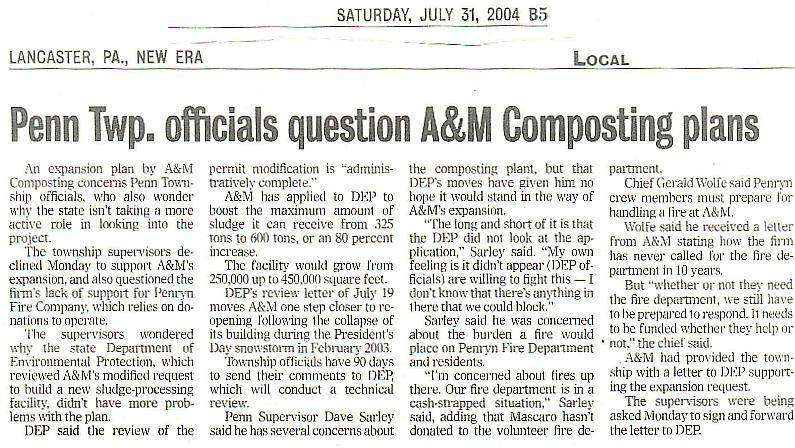 State renews permit of controversial A&M site. 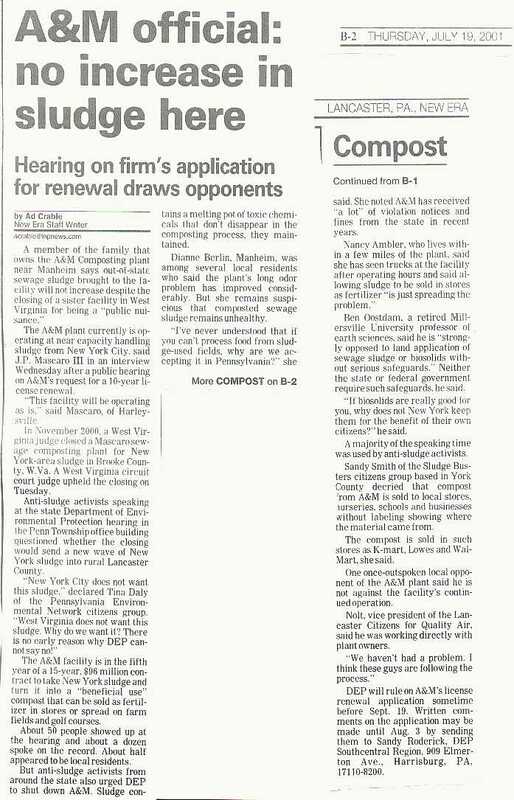 about their application for renewal of permit. 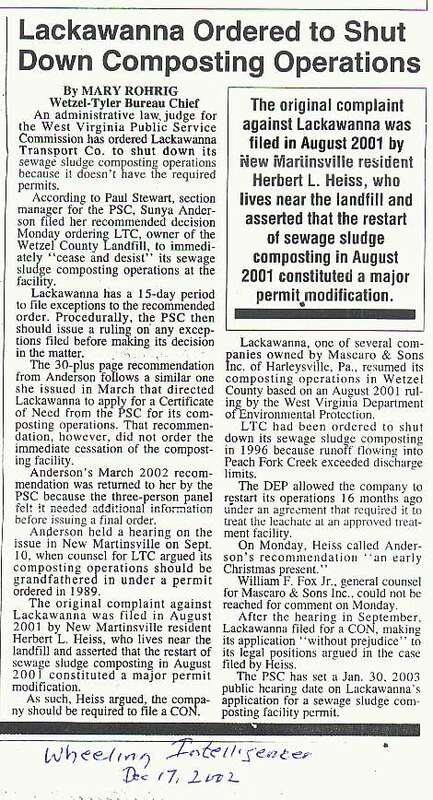 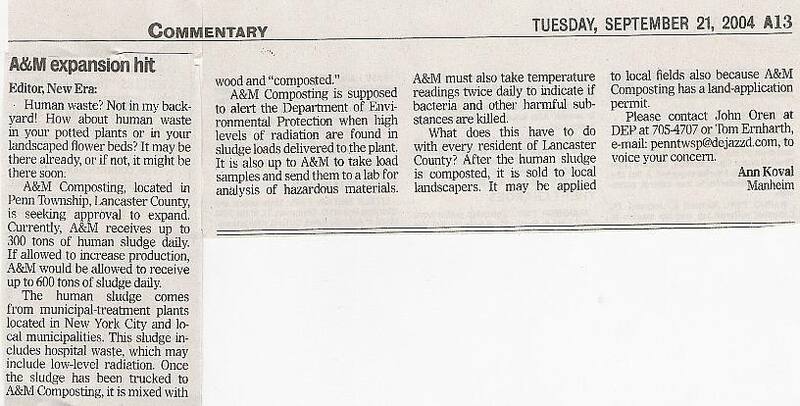 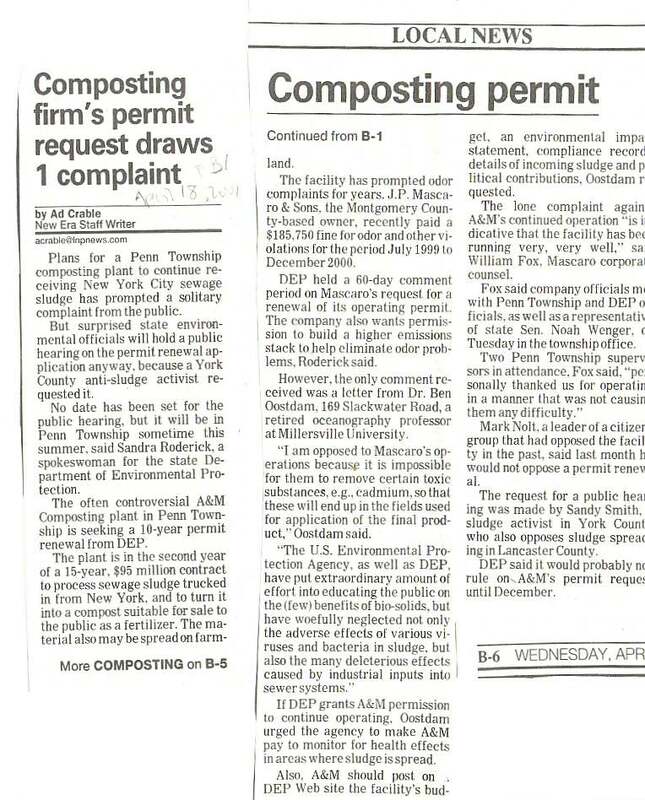 2000, May 17 - What are Biosolids and how are they regulated? 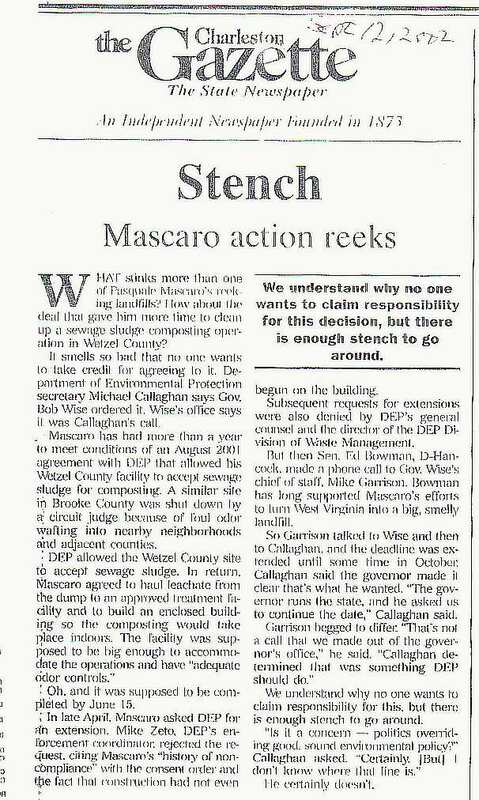 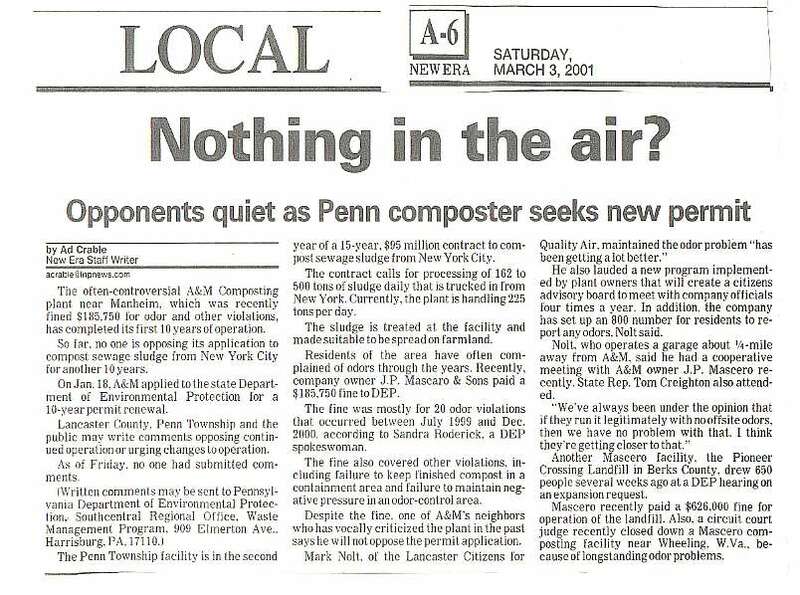 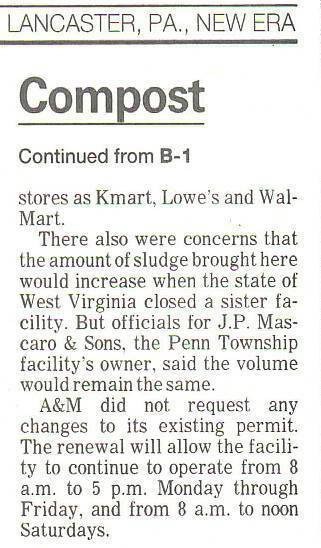 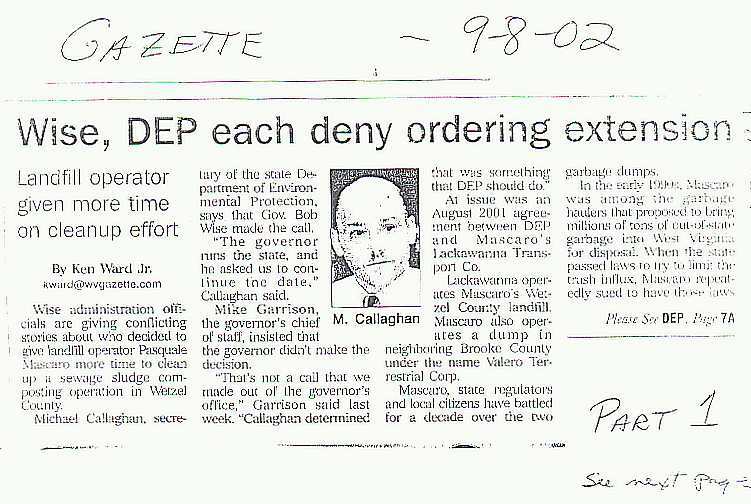 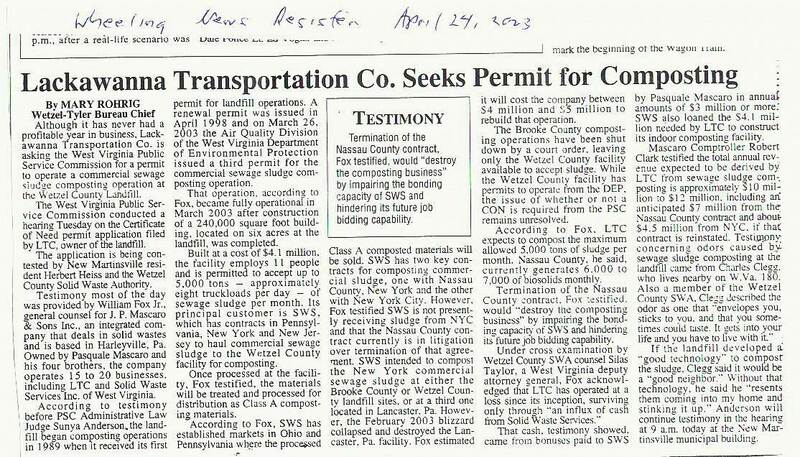 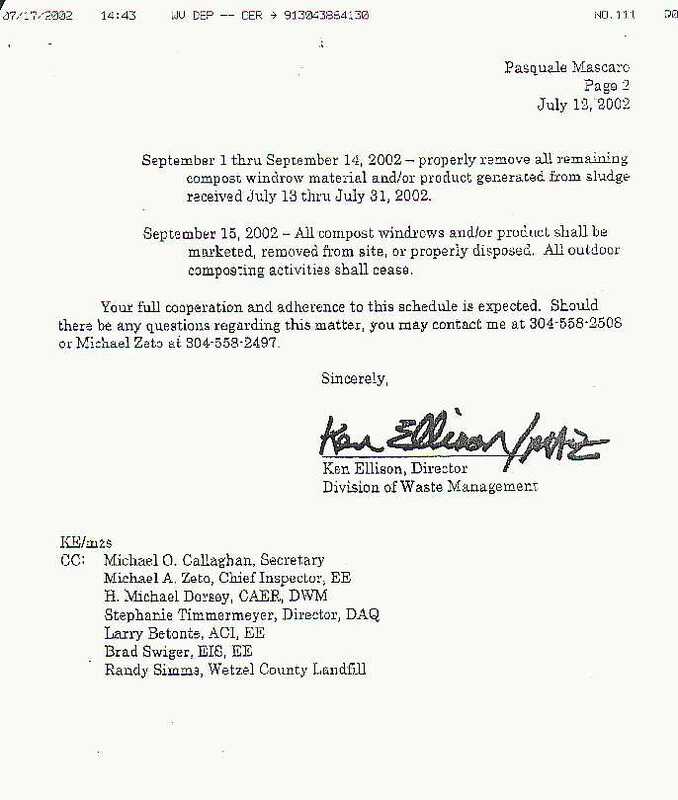 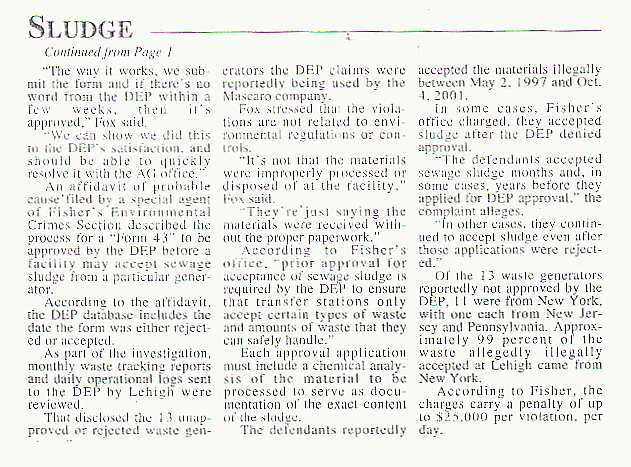 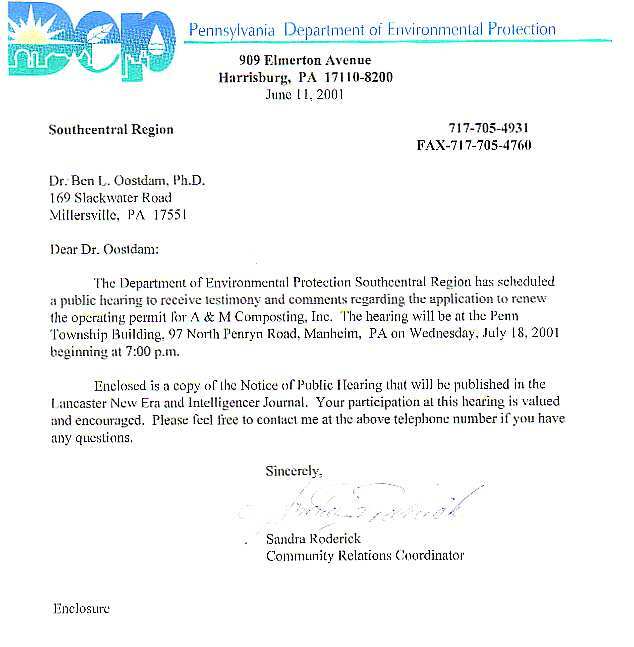 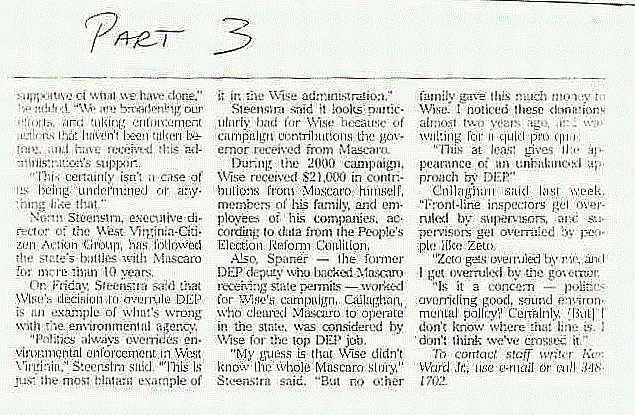 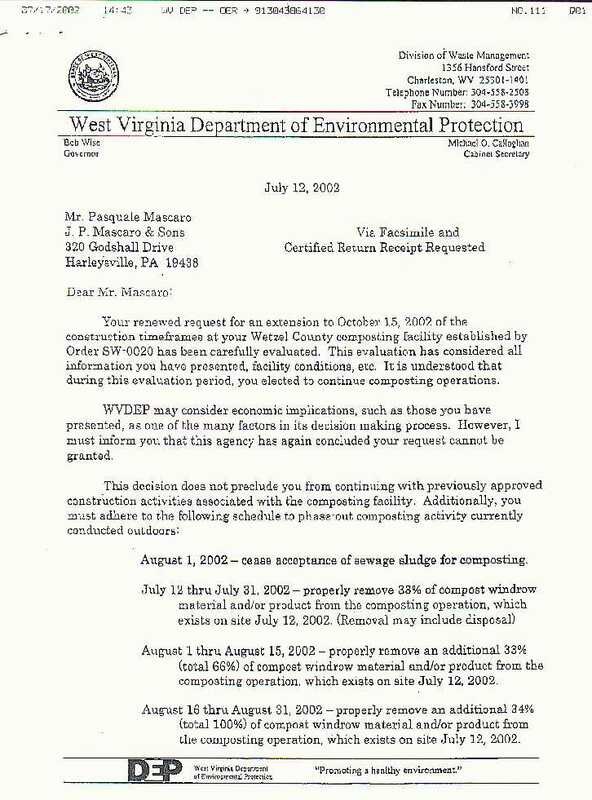 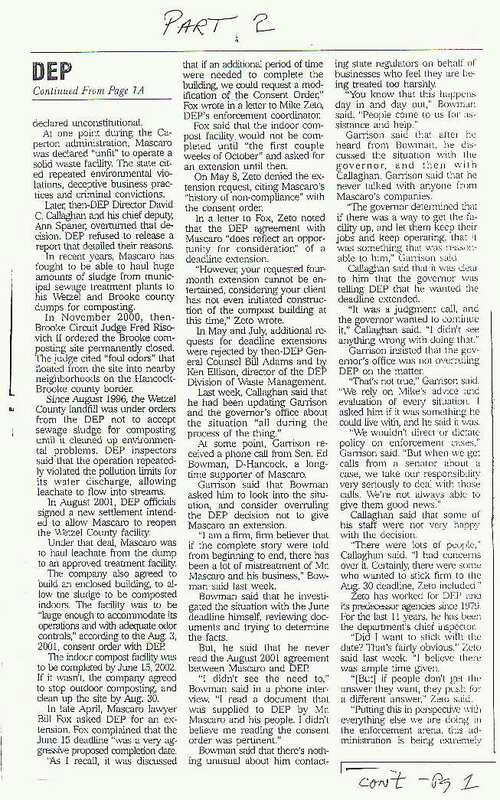 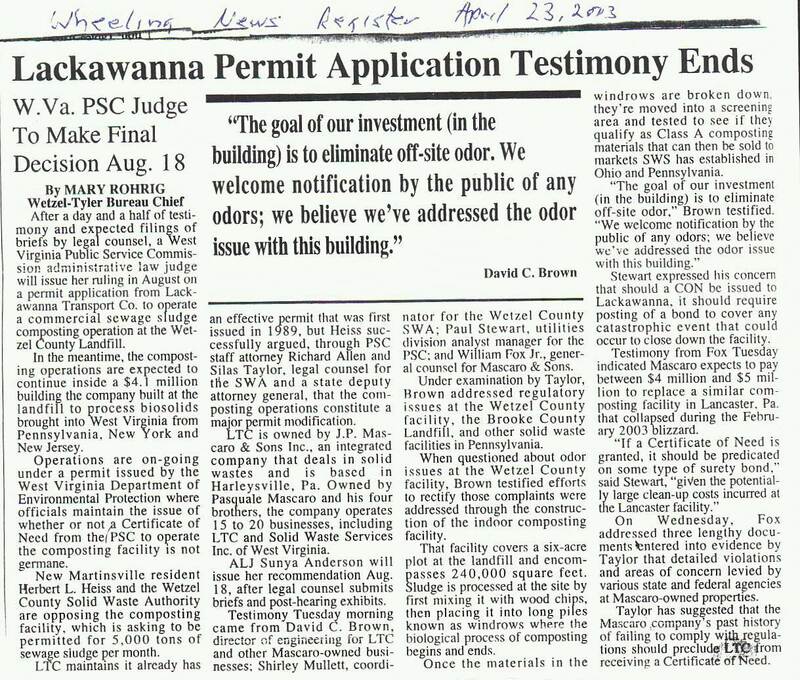 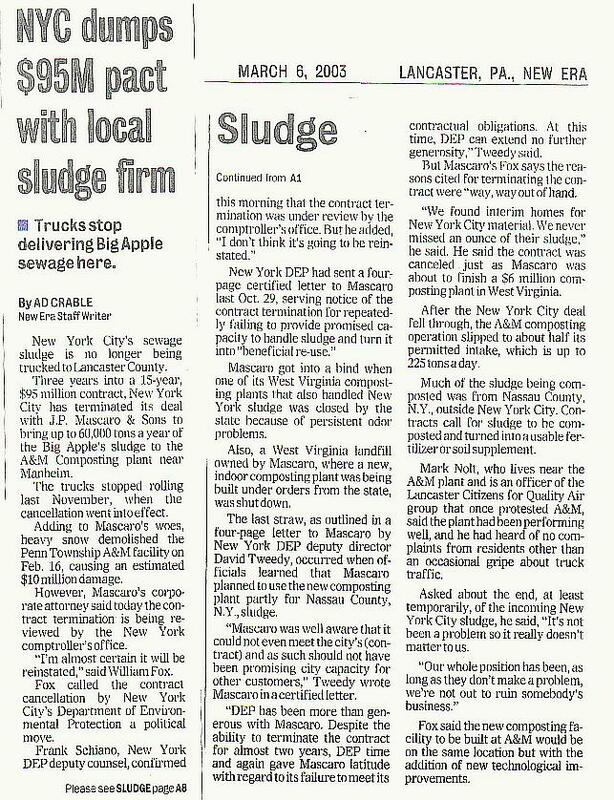 July 4, 1997: Letter to Pennsylvania Attorney General Urging Revocation of J.P. Mascaro & Sons, Inc.